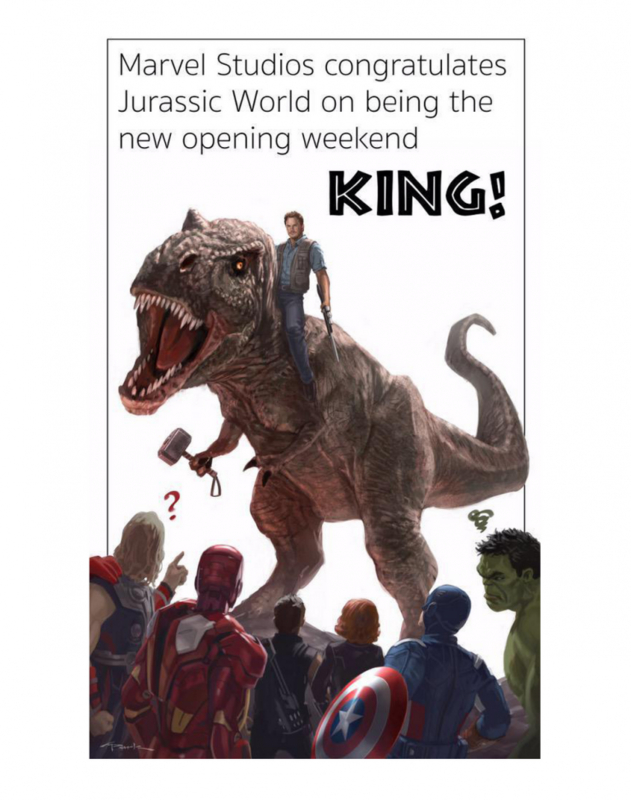 Kevin Feige, producer and president of Marvel Studios, posted a tweet congratulating Steven Spielberg and Universal Studios for Jurassic World on being the new king of opening weekend. I'm happy that he's becoming a bigger star right now. He deserves it! @Allie22: He's funny on Parks and Recreation.